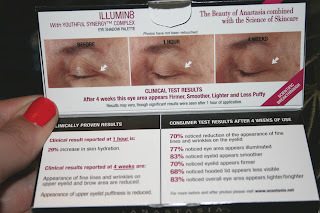 In a previous Glymm box; I believe it may have been March, we received a coupon for a free lip gloss if we purchased 2 Anastasia products. I jumped at the chance because I'm a sucker for deals. I don't think I even *loved* that lipgloss. In any case, I really did want to try the eyeshadow. 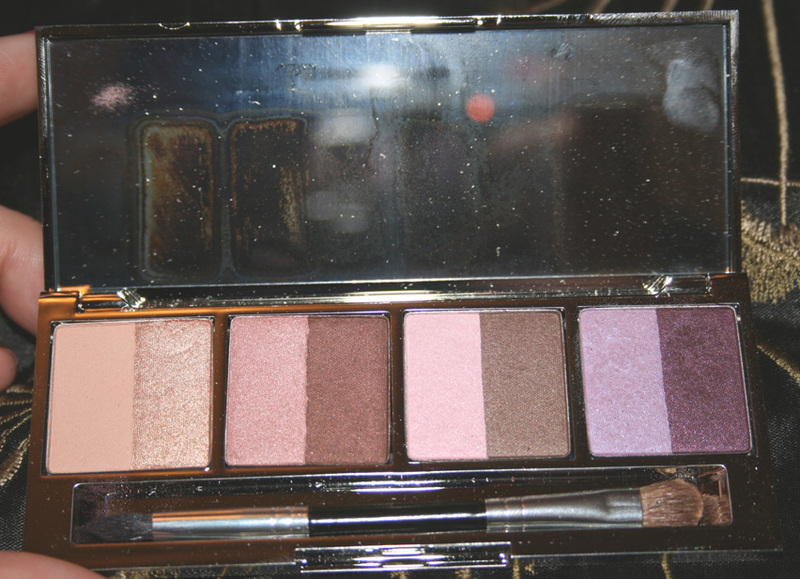 The first product I purchased was the Illumin8 eye shadow palette in Cavalli 1 with youthful synergy complex. 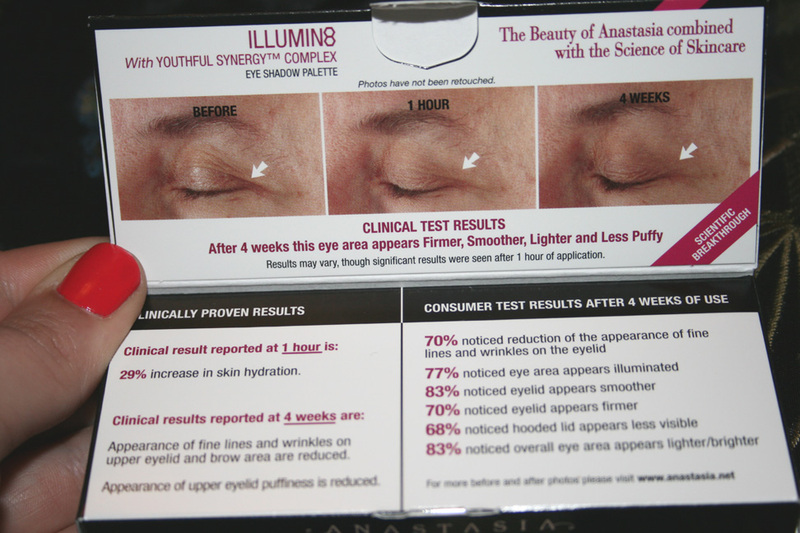 The inside of the package tells you about the "youthful synergy" complex. To be honest, I don't know how much I buy into that sort of stuff. 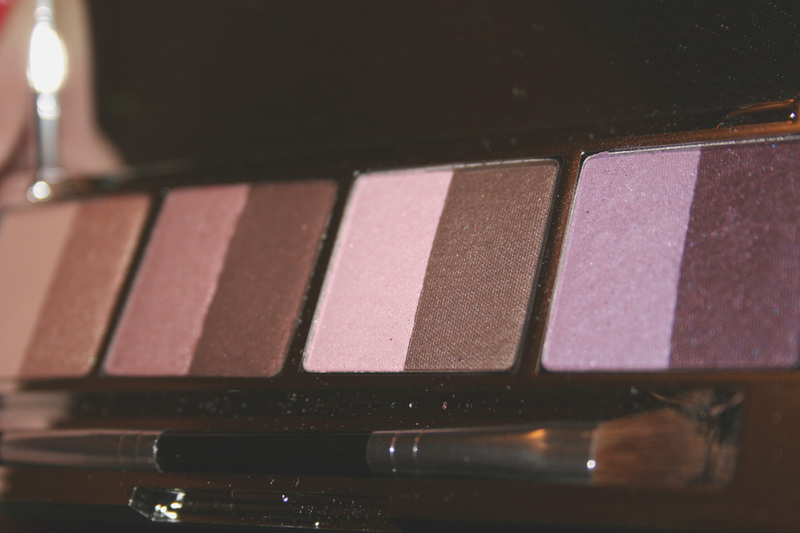 I also love to switch up my eyeshadows because I only have a billion. This is what the back looks like. The shadows are numbered and one has an asterisk. I have no idea why though, anyone know? There wasn't any further information on them. I love the case itself. It's completely mirrored and very luxe looking. Of course, as soon as you touch it, you will get fingerprints all over it! That rainbow is oil residue from my fingers. The lid is a full mirror and it comes with a two ended brush, instead of a cheap foam applicator. It works well. It has two different ends. A closeup of the colours. The quality really is there and I really like these. They were worth the price for me. It's palette #1 and it costs $26 on Glymm's website. I would definitely buy this again. If I ever ran out. ;) It listed on the back that this product expires after 6 months. Not a long life span at all..I think that's shorter than most shadows but I could be wrong. 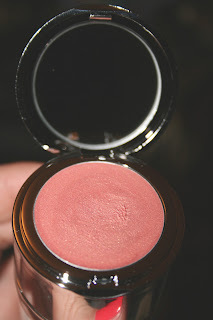 The other item I purchased was the Highlighting Creme Duo in Aspen. This was $29. Ouch. Shelf life is 12 months. 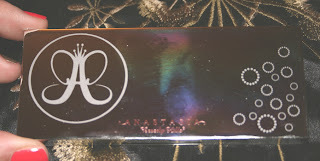 It contains liquid highlighter and a creme blush. The product contains balkan botanical infusion which is apparently known to help soothe and soften the appearance of the skin. The blush is at the top, along with a mirror when you flip it open. I stuck my finger in it to test the colour and consistency and it was really nice. 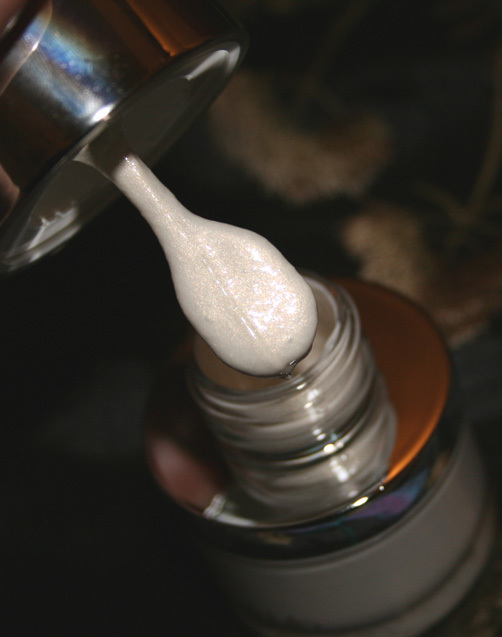 The highlighter looks like this, very pearly. Good consistency. 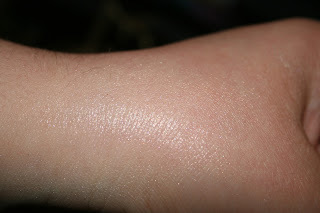 I don't know if you can see it here, but this is what it looks like swatched. You can click on the picture and it will get bigger. It's really pretty and would look nice on the cheek bones. My free product was the Hydrafull lip gloss. It comes in 8 colours. The one I chose is "Sugar Pink." The gloss retails for $27. EEK. I wouldn't pay that much for gloss. Okay, I lied I did once....and that gloss is amazing. It's a very pretty pink, it has lots of micro fine shimmer. It's not really sticky but a bit heavy and I can feel it on my lips. The worst thing about this product for me is the applicator. It's just a flat plastic paddle thingy. It's SO hard to apply the gloss. 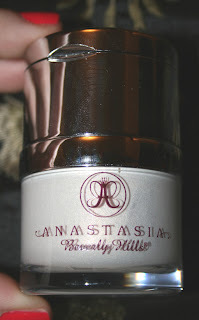 My favourite applicator (and I know it's not for everyone!) is the foamy doe foot one. I get the best results with that. In anycase I'm happy with the colour. I'll take a picture on my lips once I actually wear it. 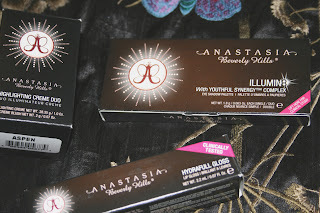 Well, that was my little Anastasia haul. I really like the products, but they are a little pricey. There's some things I'm willing to spend more money on and other things not. Out of all these I would definitely spend the $$ on the shadow. I haven't tried the highlighting creme duo on my face yet, so I can't say! I am loving the palette! It's GORGEOUS:) I want one haha! I think you have a while to use that pallette. Six months for a powder product? Mascara change every three months but shadows? I know..I was surprised too...but I wonder if it's because it has that "youthful synergy" complex? New Shopper's Beauty Boutique Haul! May Julep Maven & An Award!